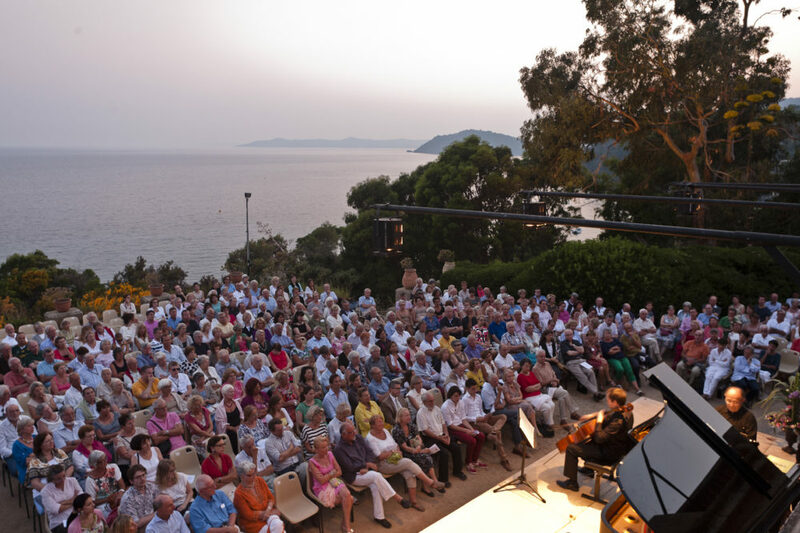 Each summer, the Domaine du Rayol organises the Soirées Romantiques music festival at the Jardin des Méditerranées, a programme of classical concerts and music from the Mediterranean performed in a very special setting in the open air, facing the sea; it is designed to appeal to all the senses. The balmy summer evenings are ideal for enjoying the performances of works by the great classical composers (Chopin, Brahms, Beethoven, Debussy, Mozart and Schumann) and sharing the convivial atmosphere. Let the Jardin des Méditerranées cast its spell! 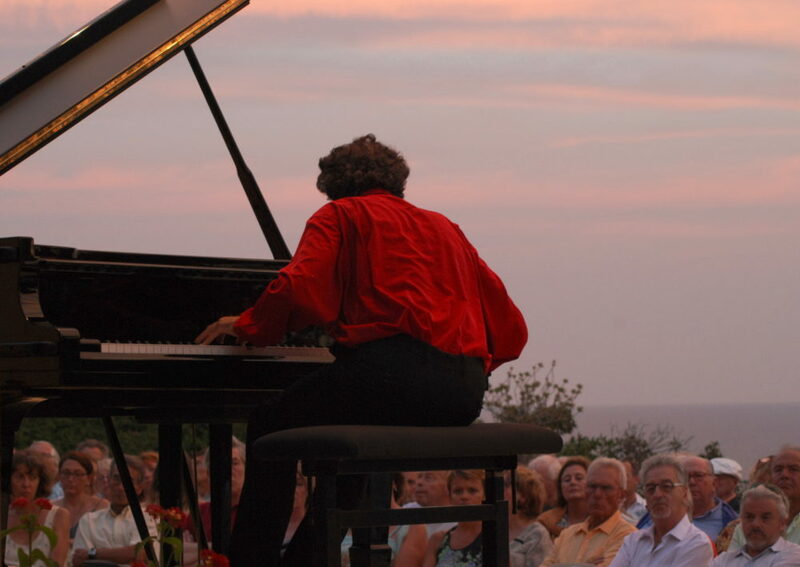 Each summer since 1994, the idyllic Domaine du Rayol gardens have hosted pianists, violinists and cellists of international renown, including Anne QUEFFELEC, François-René DUCHÂBLE, Jean-Marc LUISADA, Dominique MERLET, Philippe BIANCONI, Adbel Rahman EL BACHA, Marie-Josèphe JUDE, Cyril HUVE and many others, to the delight of the Domaine du Rayol’s music lovers. 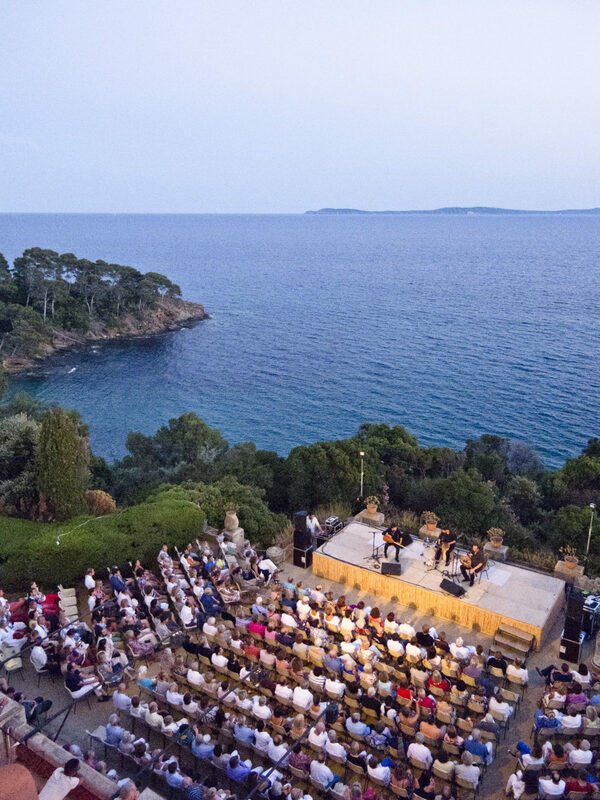 The final evening’s concert is devoted to musicians native to the Mediterranean shores. 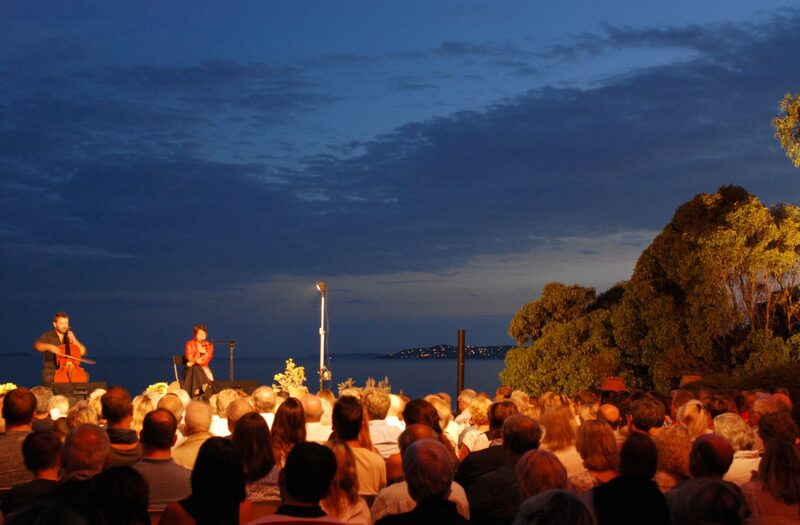 Amongst those groups invited in recent years are Barbara Fortuna (Corsican polyphony), Lula Pena (fado), Duo Hasa-Mazzotta (songs for voice and cello with a Balkan twist), Forabandit (songs in the Occitan troubadour tradition) and many others who have thrilled the public under the Mediterranean sky.